I am going to start with the opinion about Eucerin as a brand before I move on to a new product I got to test. 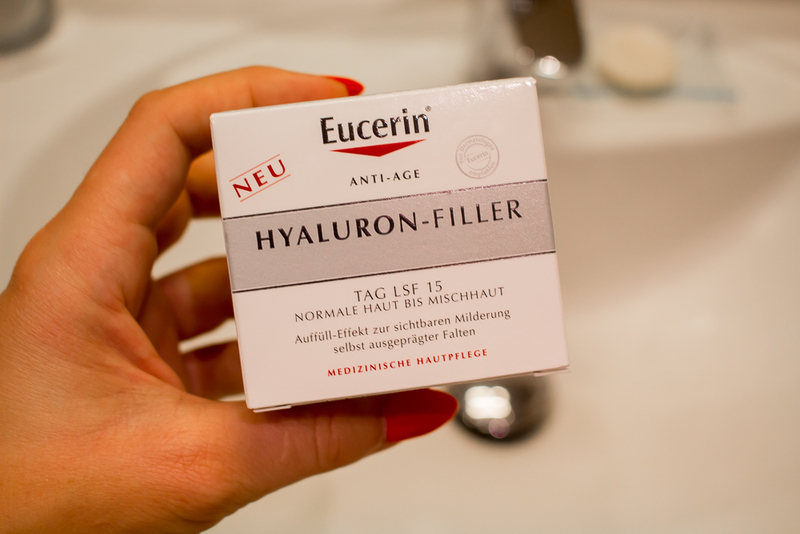 Day 1 of testing : I am at Bread and Butter by Zalando, starting to test my new Eucerin Hyaluron Filler – anti-aging day cream for normal to combination skin with UVA and UVB protection. Hyaluronic Acid is a substance which is formed by skin cells and is part of the connective tissue of the skin.It’s main function is to reduce wrinkles – that is why it contains of Hyaluron. As we age, skin’s natural ability to produce Hyaluronic Acid depletes and wrinkles start to form and deepen. The creme feels nice, I am still not sure how it will work for a long period use, but the first impression is positive. It is definitely not too leightweight and its smell is typical for Eucerin – lightly fragranced. I took it with me for my September trip to the US and the Bahamas. It has UVA&UVB protection – I always choose the most appropriate ones. Day 20 of testing : I can not live without this creme! I use it as my make-up base, as it absorbs super quickly and does not leave any sort of ‘film’ on my face! 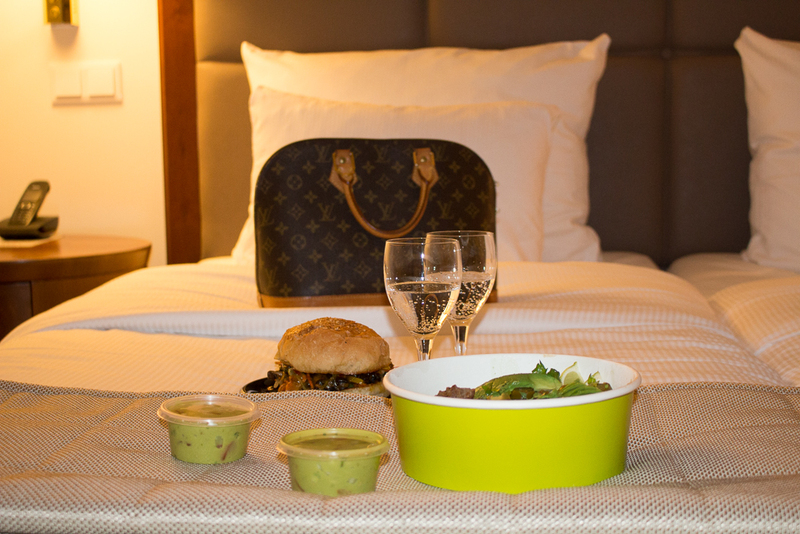 It was a perfect day creme for my New York and Miami trip and the best alternative for Bahamian evenings! It moisturizes my skin in a perfect way! I got my creme from apo-rot – an online pharmacy, where you can find the majority of skin care products for even up to 55% cheaper! Apart from that I have the code I can share with all my readers – it would give you another 10% off the price 🙂 Use it until the 30th of Septmeber. Order your Eucerin Hyaluron Filler from apo-rot here. 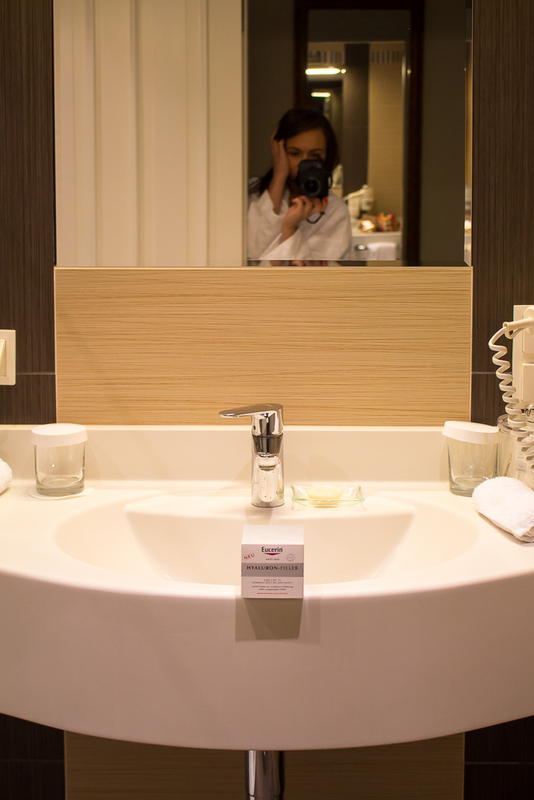 The pictures were shot at Hotel Brandenburger Tor Potsdam, you can find my latest post about it here as well. Def want to try this! By the way your nails are looking so good!!! Your photos are great babe and this product sounds amazing. Besides, I love a greal moisturizer. I really like your photos! It’s like in magazine! Such a great product-review, the pics are amazing, you look gorgeous dear. Have a lovely new week, x S.Mirli! I love that you tested it for over 20 days! I always take reviews on blogs about skincare with a grain of salt because I can never know how long the blogger has used it for but knowing that you did for such a long time and that you still love the product definitely means that it is great! Yes! Thank you for your appreciation! I would never recommend something I never used before! Such a cool post! I´m also using hyaluron for my skin! Sounds like a great option! I have some skin issues, and Eucerin was the brand my mom got me when I was a kid for helping me go through them. So I dont use the brand anymore, but I can definitely say it works wonderful! Such a great post and it’s lovely to see this cream being featured as it’s a brand that you normally don’t see on blogs! True! And it’s such a great and anti allergic brand! This product sounds amazing! These are great photos and thanks for sharing. I’m a fan of Eucerin. I find that anything in their line works! I haven’t tried this one, but def want to! Sounds good! I might give it try sometime! Great review, now I would really like to try this cream! This sounds like an awesome product- thanks for sharing! Sounds like a great product and one I need to try! I love Eucerin products!! I haven’t tried this exact one but I trust this brand so I may have to try and get a sample from somewhere! 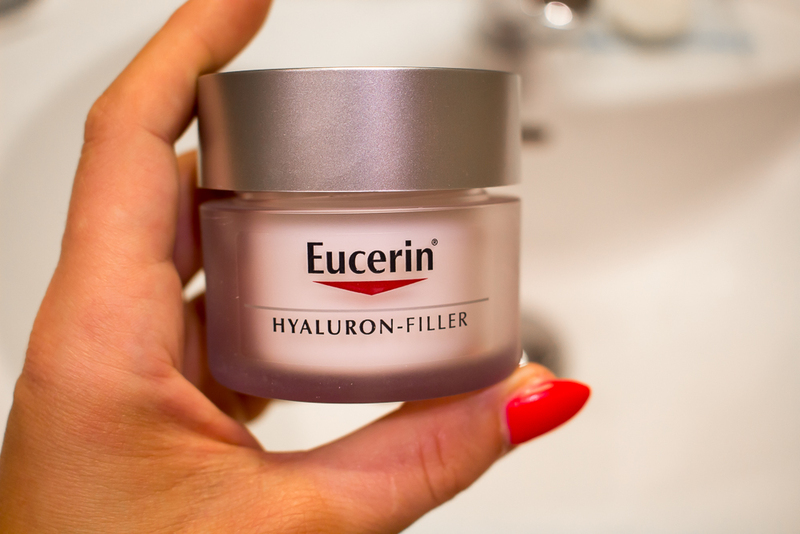 I am hearing about Eucerin for the first time but must say your review is making me interested!